Alcoholism is a debilitating condition characterized by problematic drinking that causes distress in the drinker’s life and, often, in the lives of his or her loved ones. Signs and symptoms that you or someone you love may be addicted to alcohol. Short- and long-term effects of alcohol dependency. Medications used to treat alcoholism. Who Answers? to speak to a treatment support representative about your recovery options. An individual who displays 2 or more of the following signs or symptoms within the past year 6 may already be struggling with a drinking problem or, more technically, meet the criteria for an alcohol use disorder. More alcohol is consumed and more often than the drinker intended. Consistent failed attempts to quit drinking. Spending an excessive amount of time buying and drinking alcohol, and recovering from its effects. Strong craving to drink alcohol. Neglecting work, home or school responsibilities in favor of alcohol use. Continuing to drink regardless of consequences. Choosing alcohol over previously enjoyed activities. Using alcohol in dangerous situations such as driving. Choosing to drink despite psychological or physical problems caused or worsened by alcohol. Tolerance: requiring increased amounts of alcohol to get the same desired effects and drinking the same amount but experiencing less of an effect. Withdrawal: experiencing withdrawal symptoms or drinking to prevent or alleviate withdrawal symptoms. These are some of the common signs of alcoholism. No matter how many of these signs are present, if alcohol is causing any significant impairment or distress in your life, an alcohol recovery center or other form of substance abuse treatment can provide help. Common treatments include inpatient, outpatient and 12-step. If you are looking for an alcohol addiction treatment center, remember that what works for one person might not work for another and vice versa. That’s why it’s important that you educate yourself on the different alcohol recovery options. Various mental health and medical professionals will also be instrumental in directing the type of treatment you undergo. But knowing your options can help you advocate for yourself and help you to ultimately make a sound treatment decision. Inpatient rehab center: You live at the treatment center to first complete a period of detoxification, followed by ongoing group counseling, individual therapy and other recovery exercises to address substance abuse and any co-occurring mental or behavioral health issues. Prior to completion of an inpatient or residential treatment program, diligent aftercare planning will be made. Outpatient rehab center: You live at home while receiving treatment a few times a week when it works with your schedule. Many of the treatment techniques will resemble those administered on an inpatient basis. Outpatient rehabilitation efforts are typically more appropriate for those with stable and supportive home situations and/or less severe addictions. Dual diagnosis: Some rehabilitation centers specialize in treating dual diagnosis, which refers to the presence of an addiction to alcohol and a co-occurring mental health disorder. If you are concerned you may have a mental health condition, find a recovery program that has experience treating dual diagnosis to strengthen your recovery efforts and minimize your risk of relapse. Group counseling: A certified mental health professional will facilitate a group counseling session in which you share your addiction experiences with others as a facet of therapy. The group setting facilitates the development of coping skills and sober social skills. Individual therapy: You meet one-on-one with a therapist to uncover the reasons for your alcohol abuse while learning healthy coping skills for stressful situations. 12-step programs: Alcoholics Anonymous is a fellowship program in which the members support and encourage one another while working through the 12 steps of recovery. 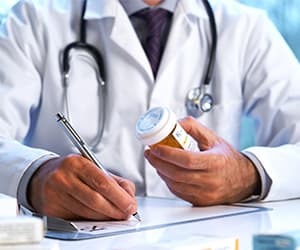 Naltrexone: A medication approved by the Food and Drug Administration (FDA) that blocks receptors associated with alcohol cravings, decreasing instances of relapse in alcoholics. Vivitrol: This medication is an FDA-approved, extended-release version of naltrexone. It is given once a month intravenously. Acamprosate: This medication decreases long-term withdrawal symptoms such as depression and anxiety and helps to prevent relapse. Disulfiram: This medication causes unpleasant effects, such as nausea and heart palpitations, when you consume alcohol, in the hopes of reinforcing abstinent behavior. Topiramate: Topiramate is not FDA-approved for use in treating alcohol use disorders. But it is sometimes used as an off-label adjunct to treating alcoholism. 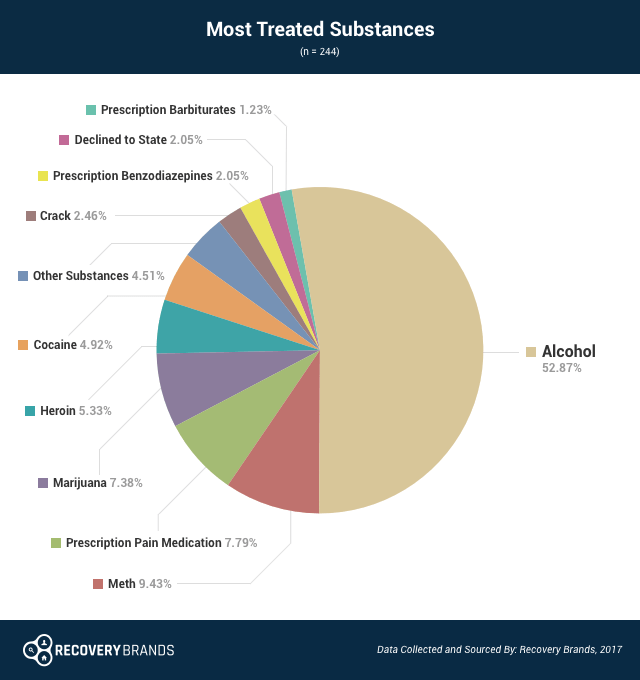 Recovery treatment attendees abuse ethanol, or alcohol, more often than any other substance of abuse, a 2017 Recovery Brands survey reports. Around 68.85% of people that took the survey sought help for a drinking problem, and almost 53% of respondents said that getting help with alcohol was their most common reason for seeking treatment. Who Answers? to learn more about rehab options. Inappropriate sexual or aggressive behavior. Additionally, there is an increased rate of suicide when someone is under the influence of alcohol. If you are concerned about a loved one committing suicide while intoxicated, call 911 to get him or her the appropriate medical attention immediately. Long-term alcohol dependence can cause permanent damage to the body and brain. Cardiomyopathy (weakened, enlarged heart muscle). Who Answers? to speak to a rehab support specialist about alcohol addiction treatment programs and how to pay for recovery. For at-risk individuals, a detox center or alcohol recovery center will be necessary to provide medical monitoring during this time. Medications will be administered to preclude against dangerous adverse events such as seizures and to make you as comfortable as possible – easing the detox transition. If you regularly consume alcohol, you will build up a tolerance. 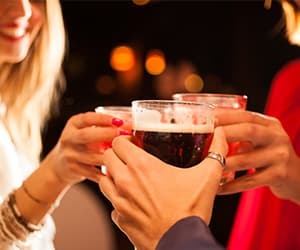 This means you will need an increased amount of alcohol to achieve the same desired effect or “buzz.” An increased tolerance drives many to drink more and more which, in turn, increases the likelihood of dependence. What Are the Effects of Alcohol on Exercise/Fitness? Alcohol has several negative effects on exercise and athletic performance. If you or someone you love has a problem with alcohol, it’s better to get help sooner rather than later to avoid severe health problems. Contact a recovery support specialist today at 1-888-319-2606 Who Answers? to get more information on alcohol rehab programs.
. National Council on Alcoholism and Drug Dependence. (2015). Facts About Alcohol.
. The Scripps Research Institute. (2002). The Effects of Alcohol on the Brain.
. Valenzuela, C. (1997). Alcohol and Neurotransmitter Interactions. Alcohol Health and Research World, 21(2), 145-145.
. Connor JP, Haber PS, Hall WD. Alcohol use disorders. Lancet 2015 [Epub ahead of print].
. National Library of Medicine. (2015). Alcohol withdrawal: MedlinePlus Medical Encyclopedia.
. Nasqvi NH, Morgenstern J. (2015). Cognitive neuroscience approaches to understanding behavior change in alcohol use disorder treatments. Alcohol Res 37:29-38.
. National Institute on Alcohol Abuse and Alcoholism. (n.d.). Alcohol’s Effects on the Body.
. National Institute on Alcohol Abuse and Alcoholism. (n.d.). Beyond Hangovers.
. National Institute on Drug Abuse. (2012). Alcohol Addiction.
. Mohsen, N., & Ayoubi, S. (2014). Effects of Alcohol on Athletic Performance. Asia Pacific Journal of Medical Toxicology, 3(22), 12-12.